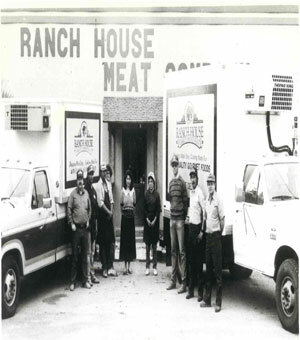 On December 1, 1978, we purchased D&W Processing in Menard, Texas. Initially, we continued to process animals for local ranchers and farmers. Menard is located in a rural area surrounded by cattle, sheep and goat ranches. Therefore, there was a demand for the slaughter, cutting and wrapping of animals raised and fed out by local producers. There was also a demand for processing of deer killed on surrounding ranches. However, as time passed, fewer ranchers fed out their own livestock and required custom processing services. At the same time, Max especially enjoyed curing and smoking and sausage manufacture. As he offered these products for sale, they were well received. Our pork tenderloin and beef tenderloin quickly became two of our most popular products. Moreover, there were requests from customers for our authentic beef jerky as well as our Texas beef brisket and smoked brisket for their friends and relatives far and wide. Out of customer demand the mail order portion of the business was born and our legendary beef brisket began showing up on dinner tables nationwide. 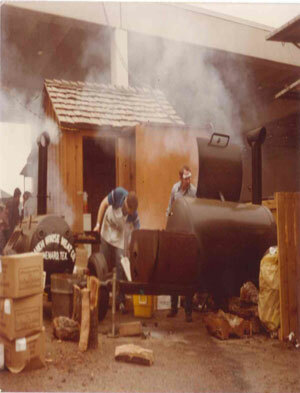 In 1981, we mailed out the first little one page flyer offering our products for sale which, at the time, featured our authentic smoked and BBQ brisket among a few others. Today, we offer a complete, full color catalog with a variety of mesquite-smoked and barbecued meats and condiments. As you have found, we offer products for sale via the internet for your convenience. Also, beginning in the early nineties, we started processing wild game meats for a retail outlet up the road in Eden, Texas called Venison World. The store carries venison, elk and buffalo items as well as other gourmet foods, gifts, books, kitchen items and seasonings. We purchased this business in 2003. Venison World is open seven days a week. Items may be purchased online as well. Please visit our sister site, VenisonWorld.com to see our complete line of exotic meats. Thank you for your interest in our products. Our folks do a great job of curing, smoking and barbecuing a terrific line of beef tenderloin, smoked beef brisket and much more for your enjoyment. Out here in West Texas, we like to use mesquite wood for our cooking. It imparts a mild, smooth smoky flavor throughout the meat. We think you will enjoy it. Thanks for visiting us online! Happy shopping on our site! If you are ever out here in our part of the country, stop by and see us. Best wishes to you all.